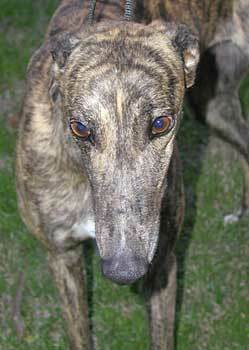 Royal is a beautiful almost 3-year-old red brindle female, born April 2001. Royal and Gill both came from the Waco Humane Shelter where they were turned in as strays. Royal is double tattooed so her history is a mystery. Royal is a little shy, but warms up when she gets to know you. She loves to play with toys! 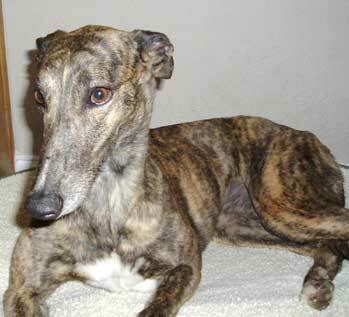 Royal gets along well with other dogs, large and small, but it is not known at this time if she is cat tolerant. My name is Royal. 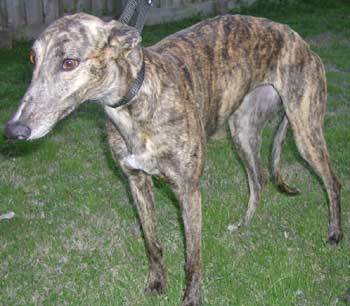 I am a rather small, brindle girl, who will turn three in April. My birthday is coming up soon. I have asked my foster family to give me all my gifts in peanut butter and walks, because those are my two favorite things in life. When they bring out my leash, I cannot contain myself, I just have to jump, twirl, prance and sometimes, the excitement is such that I have to nibble gently on somebody's hand. (By the way, I do great on a leash, although I am a "sniffer"
) Boy, do I love to walk! My ears move around all the time; I've heard they are "expressive", especially when I hear something, or am curious about something. My foster mom particularly likes it when I have one ear up and one down, it always results in lots of hugs and kisses. Prefer to sniff first, and then I tend to lick any newfound friend around the mouth, it's just my way to say "hello, I like you!" While in the yard, I like to take out squeaky toys and throw them up in the air and chase them around. I play fine all by myself, although I do prefer when I have playmates. Tennis balls are ok, but squeaky toys are better. At night, I have several different beds to choose from, and my preference is to lie on a big soft bed that is placed in a corner, I like to lean up against the wall before I fall asleep. I actually sleep on my back with my legs straight up in the air. My crate is another good place to be. Last night, I woke up at midnight and decided that I wanted to be in my crate after all (as I had fallen asleep outside the crate). The only problem was that there was another Grey in there already. Didn't bother me though, I just squeezed myself in there. Well, it did get a little crowded, and my foster mom came and asked the other grey to move out, which was nice. See, I don't mind being close, dogs or humans alike. Actually, I prefer to be close, and often try to share beds with my K9 companions. Fortunately, they don't mind either. Mostly, I just plop myself down on the floor and wait for something to fall down, so that I can eat it. I can be a bit shy at times, but usually only when things are completely new. My first night at the foster family was a bit scary, so I spent most of my time in the crate. As I realized that these folks were OK, my shyness quickly disappeared and the real me came out. But at times, the shyness comes over me, not sure why. It seems to happen less frequently though, as I am becoming increasingly comfortable and confident in my new surroundings. More than likely my shyness will fade away completely with time. All in all, I do love life, people and other dogs. (Haven't met a cat yet, so I don't know how I feel about them.) I want to be where the action is, and therefore follow my foster mom around the house, wherever she goes. Always something fun I can get into. I am curious, but in a gentle way and I listen well, so if I do anything that isn't right, I quickly stop when somebody tells me. 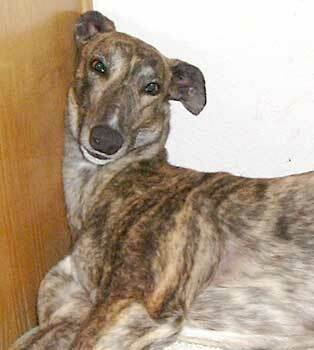 I am looking for a forever home with somebody who wants to share their life with me and make me part of their family. I am as cute as they come and would make a wonderful companion. Just ask my foster family! Thanks for reading my story. Hope to see you soon.